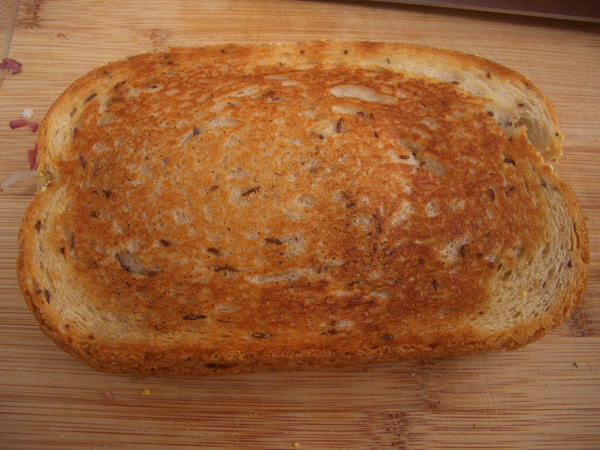 Toasted sandwiches don’t keep well. If possible, you want to make these moments before you serve them. 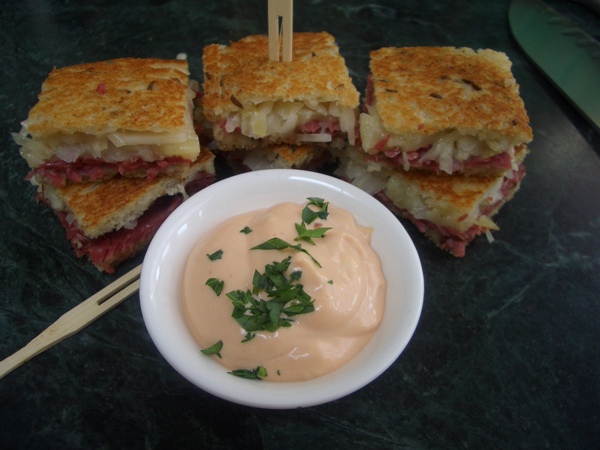 Though a traditional Reuben is made with corned beef or pastrami, you could make a vegetarian version similar to what I often order when we go to the Pork Store. Just substitute sauteed sliced mushrooms and spinach for the meat. It’s a delicious alternative. 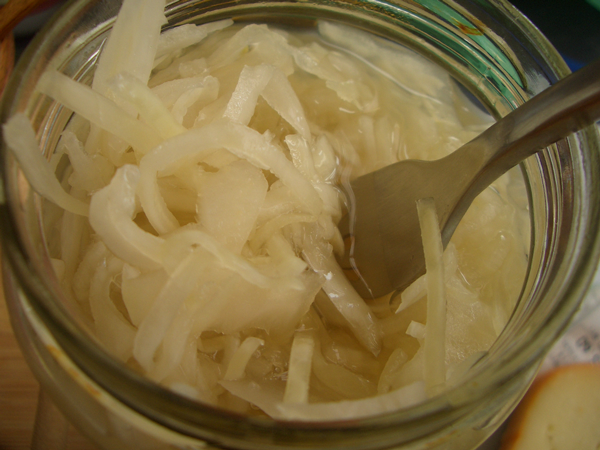 Rather than put the dressing inside the sandwich, we’re using it as a dipping sauce, but you can put it inside if you prefer. 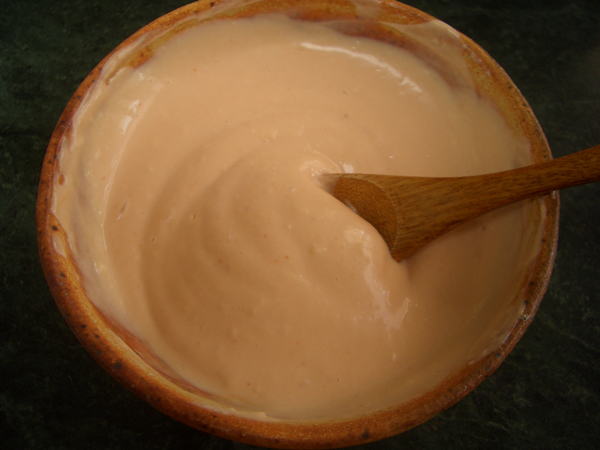 Combine all the dressing ingredients and blend until smooth. Butter all the slices of bread on one side. 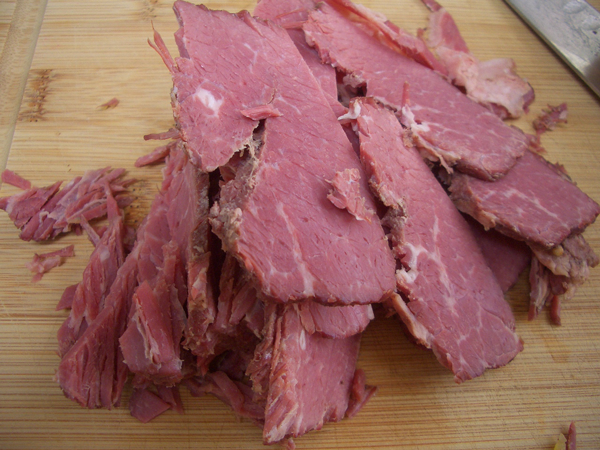 The buttered sides go on the outside. 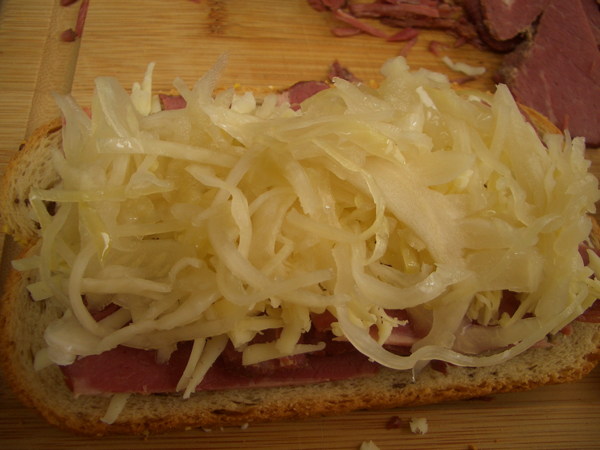 Buttered side down, top one slice of bread with a layer of corned beef, cheese and sauerkraut. Add the second slice of bread, butter side out. 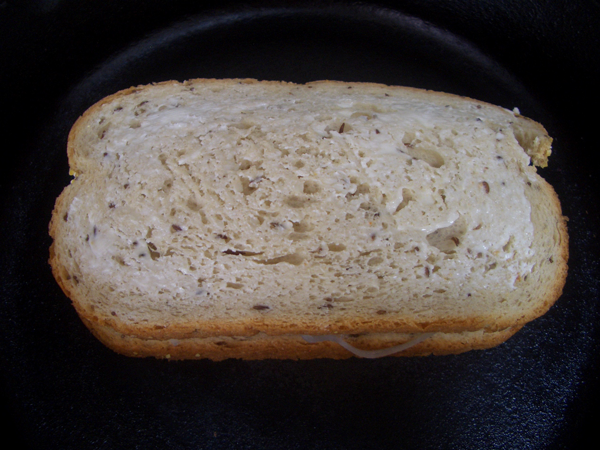 Over medium high heat, grill both sides of the sandwich until golden brown. 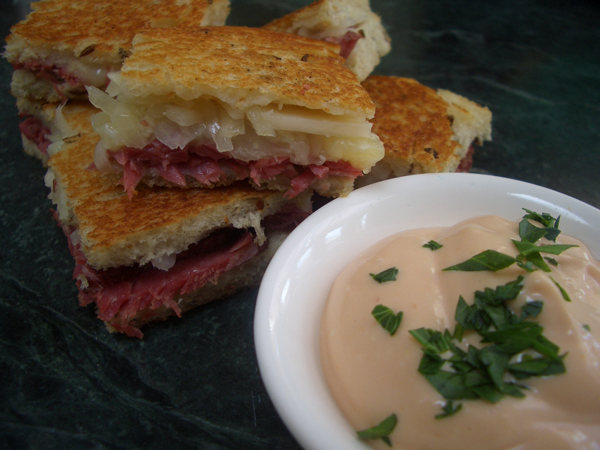 When you flip the sandwich over, give it a good pressing with the spatula to help compress the filling. 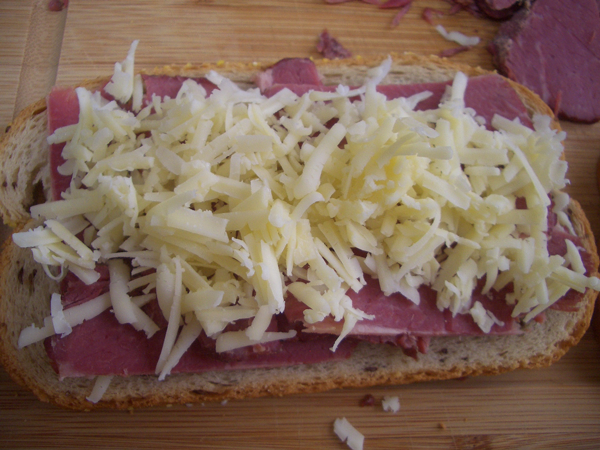 Cut the sandwich into however many pieces you like. 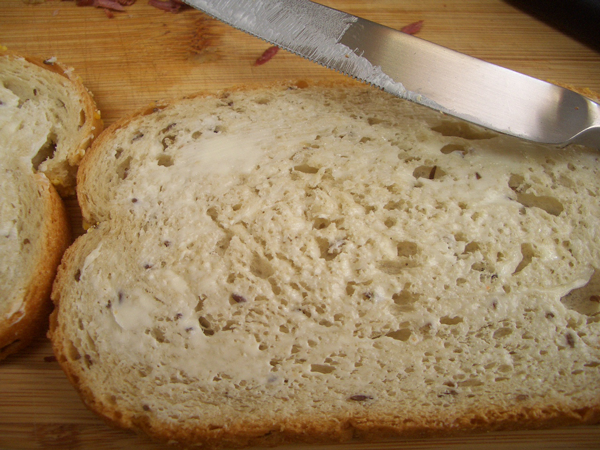 Serrated bread knives work best when trying to get through that top layer of bread without tearing everything to bits. 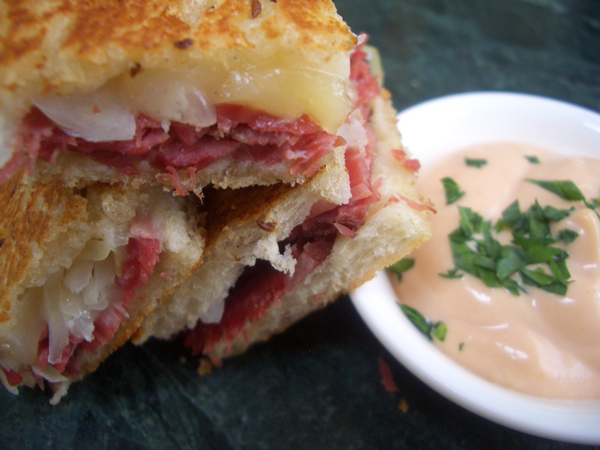 Serve warm with the Russian dressing.